Let's replace a 2004, 2005, 2006, 2007, 2008 Mazda3 headlight bulb (1st generation). Especially how to deal with that bulb retainer clip. 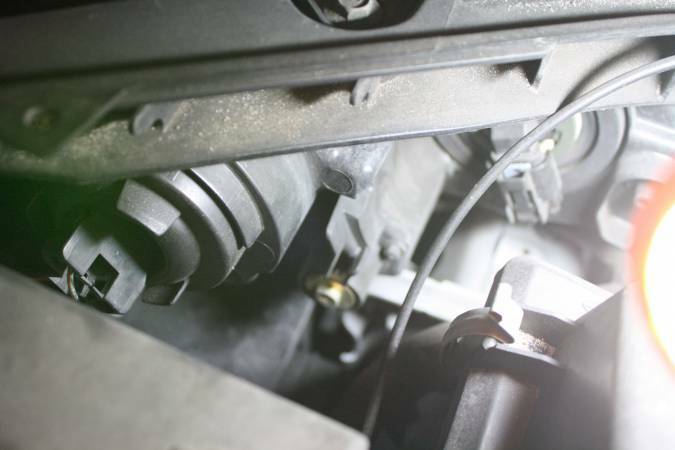 Replacing headlight bulbs is a pretty quick and simple maintenance procedure. 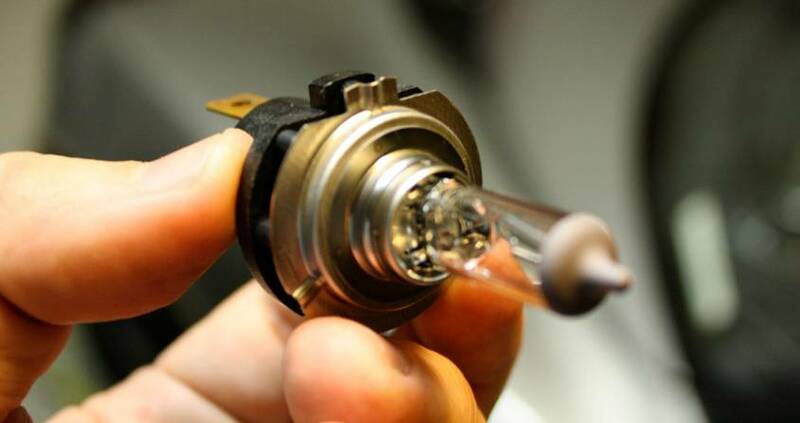 This article will cover everything you need to know, and provide you with replacement headlight bulb part numbers. 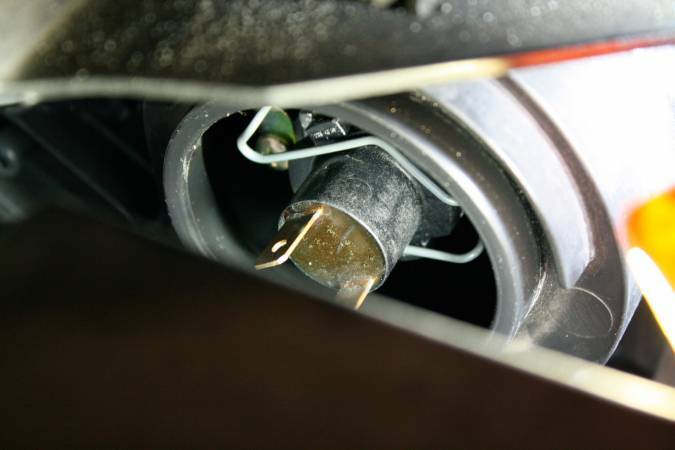 For some reason, the bulb's on our Mazda 3 burn out several times a year, so I've been replacing them fairly often. Remove the dust cap and unlatch the retaining clip. Replace the burned out bulb, do not touch the glass. Test and clean up, you're done. H7 Headlight Bulb: Sylvania SilverStar zXe, SilverStar Ultra, GE Nighthawk Platinum, Phillips X-treme, or just Phillips Standard. 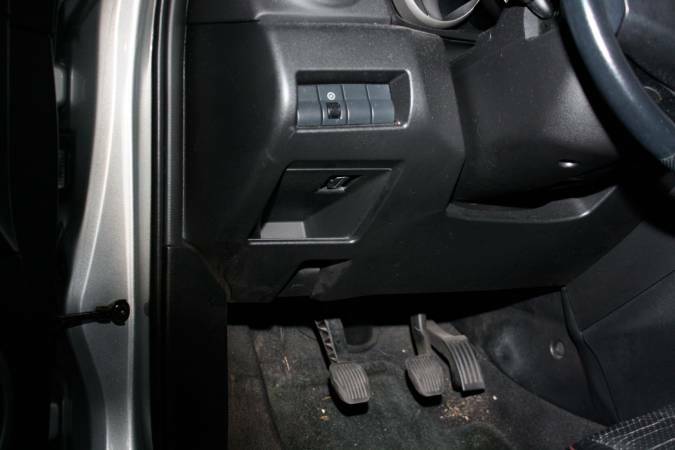 The hood release is located on the bottom of the driver's side of the dash. Just pull the lever up. On the 2005 model like this, the headlight bulb is the outermost of the two headlight bulbs. The high beam is the bulb closest to the center of the car. To double check I turn on the lights and inspect which bulb I need to replace. Disconnect the connector on the rear of the bulb. It just pulls straight out, but you may need to wiggle it a bit. Then pull the surrounding rubber seal completely out. Unlatch the metal locking pin/clip. It's a little hard to see, and not obvious how it locks, but push it in and to the side to free it the latch. One side unhooks, the other acts as a hinge. Here's the pin once it's unlatched. Pull the bulb out, working it around the the locking clip. 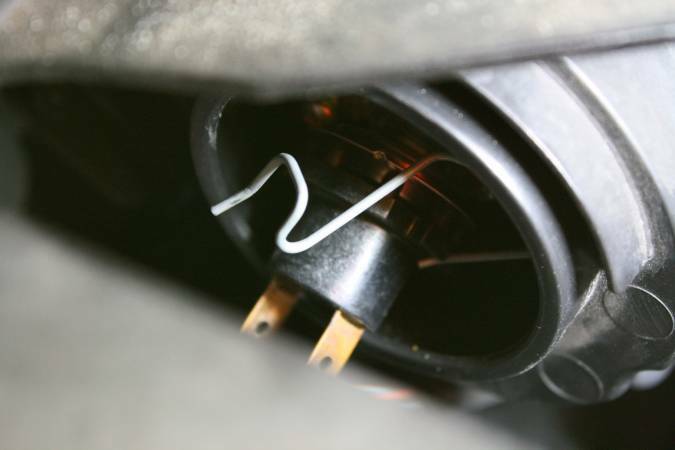 Here you can see the bulb, the Mazda specific adapter attached to it, and if you look close, the burnt filament. The headlight bulbs sit in a plastic carrier/adapter. Pull the old bulb out of this adapter. Put the new bulb in the carrier. Be careful not to touch the glass of the bulb, supposedly the oils on your hands can cause hot spots that result in shorter bulb life. 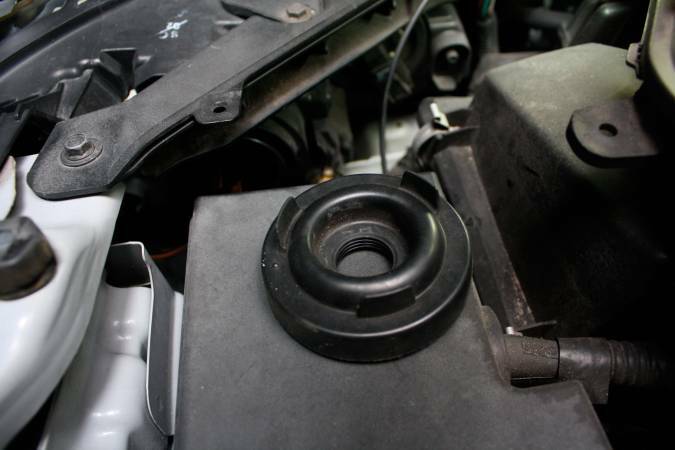 Place the new bulb and adapter into the headlight housing. The bulb only goes in one way, be mindful of where the directional tab on the bulb is and how it needs to align to fit into the housing. This is the dumbest part. I've managed to clip this correctly on the first try once. Other times I've spent 30 minutes trying to get the clip into the right position. Basically you need to push the clip pretty far into the housing, and get it latch behind the little metal retainer. Replace the rubber seal. Be sure the press it in around the center of the bulb so that it seals properly (it slides down the sides of the bulb some). Now plug the power connector back onto the bulb. Again, this only fits on one way so just match it up and press it onto the prongs on the back of the bulb. This post was PERFECT. My first time changing my own lights. I only used this how-to guide even though there were videos available because the pictures are clear and the instructions are so crystal clear. Thank you! Thank you for the instructions. I have had the low beams replaced at least 10 times since buying the car new in 2005 and every repacement was at the dealer because the manual instucts so. I changed the bulb myself in less than 8 minutes. It takes longer to get checked in at the service department. I will save time and money now since last bulb lasted just over 13 months. Thank you again. thanks...is a good and simple explanation... the pictures so nice..
Just changed mine. Took all of 10 minutes. My first time changing the lights too. Your instructions worked like a charm. Thank you. Nice instructions. This is by far the worse headlight bulb design I have encountered. In the nine years I have owned my Mazda 5 sometimes it has taken 10 minutes other times I have struggled for over an hour. Thank you so much for this! My fingers are a bit sore from trying to push the pin in. I finally used the handle of a small screwdriver to get it in far enough to hook. I could not have done it without these great photos and instructions. Good article. I have a 2008 Mazda 5 with 125000 miles. Bought it new. Only problems so far are:front top strut mounts both sides at about 100,000, leaking oil cooler gasket, leaking auto transmission pan, front sway bar end links and bushings, rear sway bar end links, other noisy suspension bushings. I will try and post an article on replacing the oil cooler gasket. @deadeye Thanks! We loved our 3 a lot. It had over 100k miles when we sold it and changed over to a sports coupe. I only replaced the expected stuff: brakes, tires, a belt, spark plugs, a battery, filters, and a few of these headlight bulbs. I think the only unusual thing was the engine mount. Looking forward to seeing your article. Great article with great pictures! 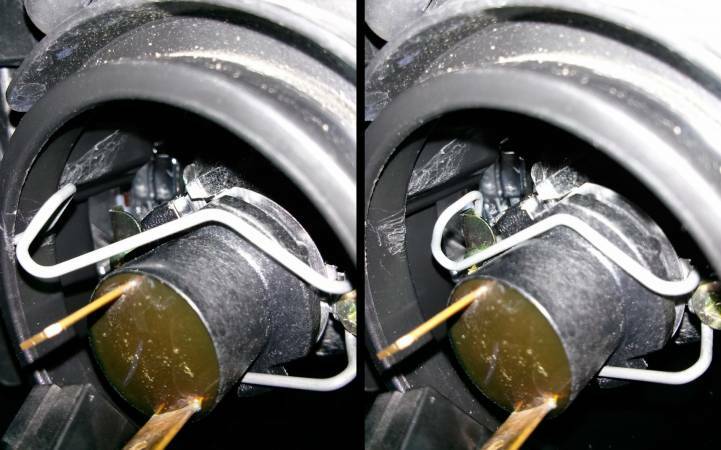 Is this procedure the same for 2009 Mazda 3? I keep reading online articles referencing removing wheel covers or removing the bumper to gain access. Thanks! @gnome I have a friend with a newer Mazda 3, I'll try to schedule some time with him to check it out. Thanks for the Kudos. This was amazing. Worked perfectly. Interestingly though, I had much more trouble getting the retainer clip open and was able to close it on the first try by just pushing it in. @gnome, I followed this how-to on my 2009, it worked as expected. One thing I noticed, the driver's side has a sort-of triangular plastic piece that is in the way, just above the headlight connectors. Remove the three re-usable plastic rivets, then it is just as "easy" as the passenger side. Definitely did not have to mess with wheel covers or bumper. Thank you for the detailed guide! 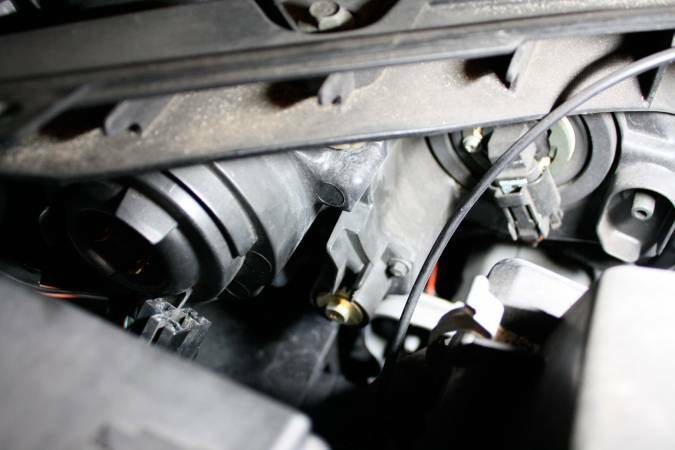 I have a 2007 Mazda 3 hatchback, and I'm trying to figure out the best bulb to purchase to replace the low beams. Looks like factory standard is an HID, but they are $$$. Does it matter if I replace one (not both) with one of the halogens listed? 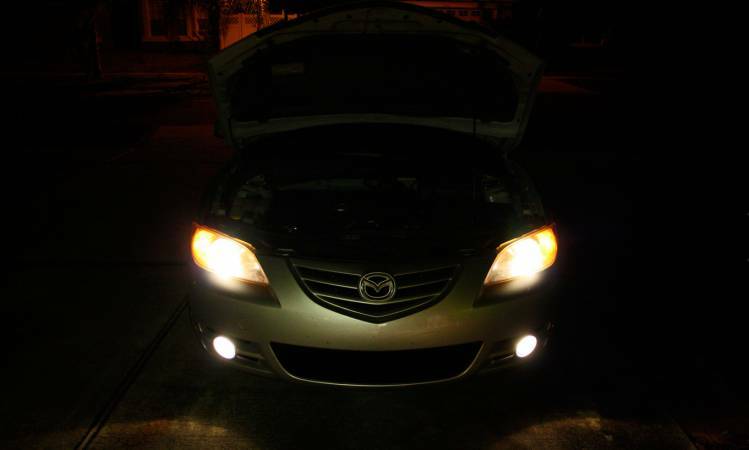 I have a 2007 Mazda 3 hatchback that came stock with HID bulbs. Can I replace with one of the halogen bulbs listed above?